When we moved out of our house in Alexandria, the room that I was saddest to leave was Baby K's nursery, for many reasons. 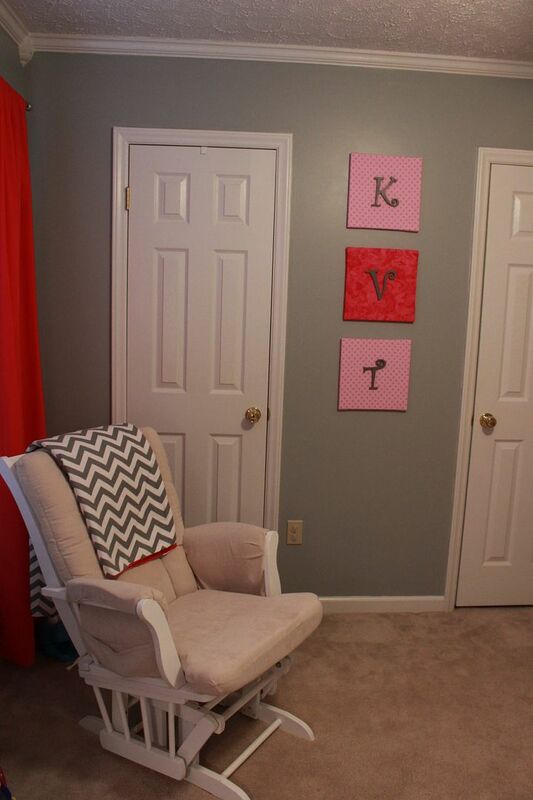 I just loved that room and all of her decorations, especially the chevron wall which I poured my heart and soul into stenciling. Trying to stencil and paint a chevron wall with an 18 month old running around is not as easy as doing so while pregnant, so I opted to skip the chevron pattern this time. However, I knew I still wanted some sort of decoration on her wall - a statement wall is so fun! I had been following Urban Walls on instagram for quite some time and really loved all of their decals and designs, so I decided to check out their offerings. Wow! 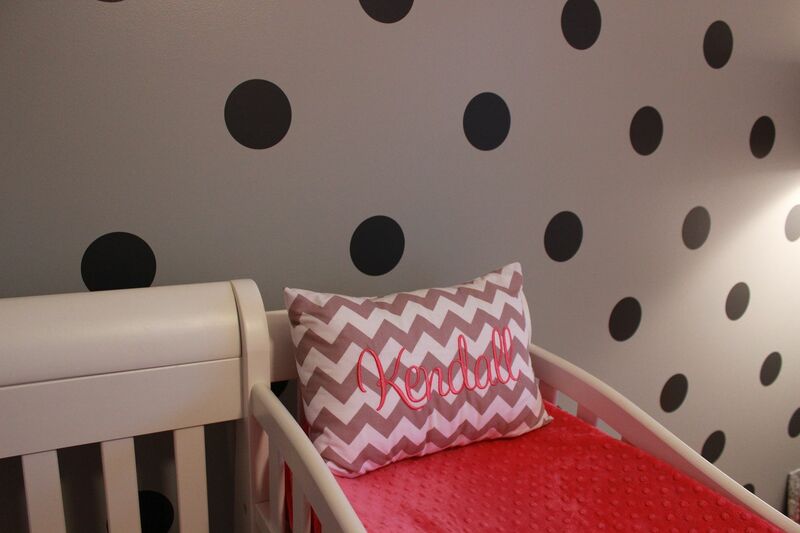 I was blown away by everything they had and thought I might have a hard time deciding what I wanted for Baby K's new room, but then I found my trusty old polka dots and knew I needed to look no further. And I am thrilled with the finished product. 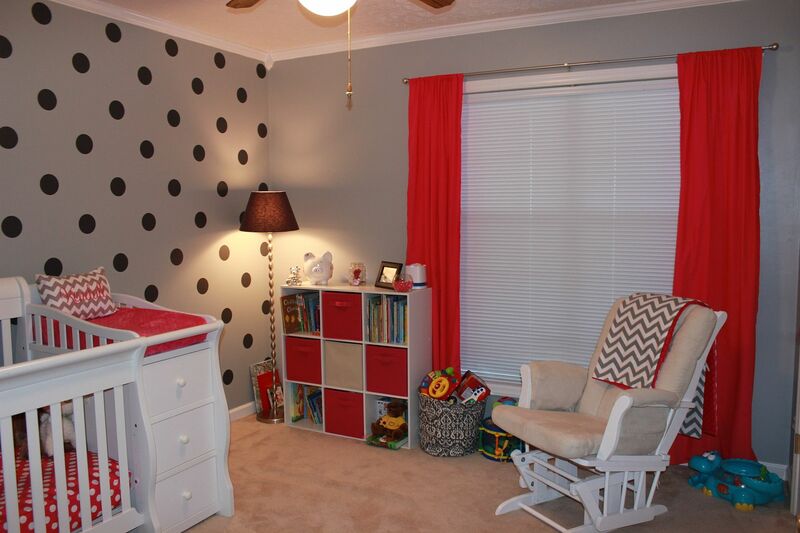 We opted for dark grey dots to go on the light grey walls and I just love how it all turned out. And Baby K really likes them too; she keeps saying "circle" and pointing at the wall whenever she enters the room. The decals were super easy to apply once I got all of my measurements lined out. 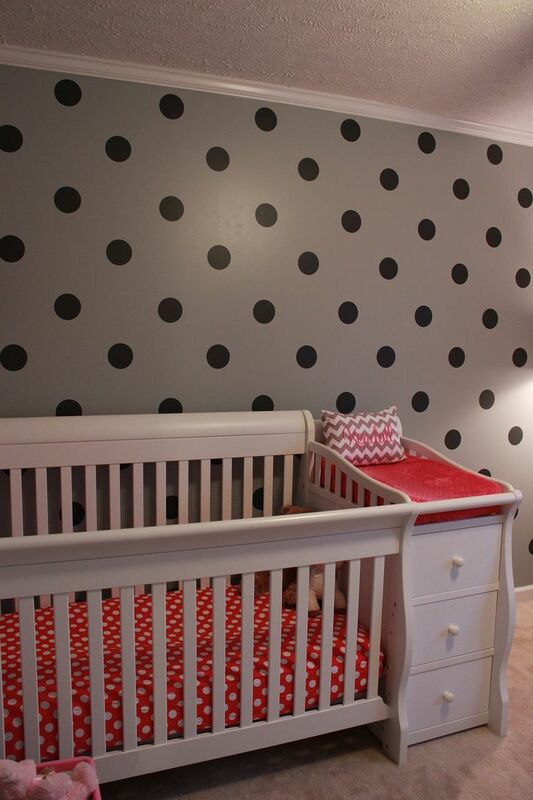 In fact, it was kind of therapeutic putting the polka dots up on the wall. 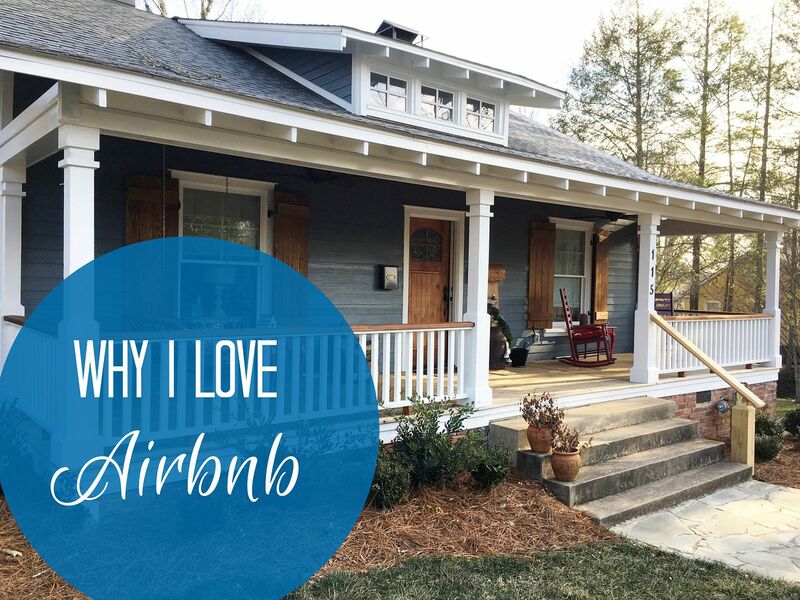 One thing I loved about this project was that if I needed to stop and take a break (or leave the room so Baby K could go to sleep), then I could stop right in the middle of the project. No need to worry about a mess to clean up or hurrying to finish before I messed up a paint job. I could just walk out of the room and come back to my project the next day and easily pick right up. That is super important to this busy mama, so Urban Walls are a huge hit! 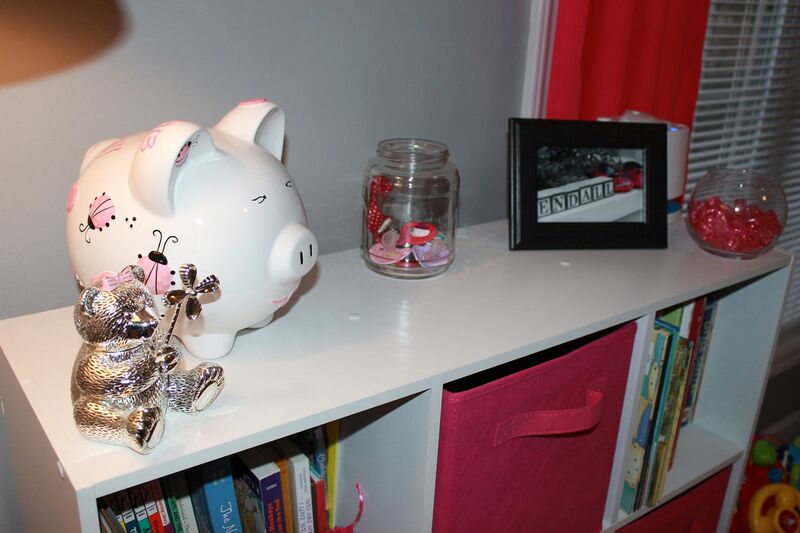 I used a lot of the same decor elements from her old room and added a couple other things too. My aunt gave her a new (bigger) book shelf, which we just love because Baby K has a ton of books. And her room in our house now is so much larger than her nursery in Alexandria, so there is plenty of room for her to play. I love walking by her bedroom door and peeking in to see what kind of fun she is having. I'm so thankful for her to have a fun, bright and cheery space! 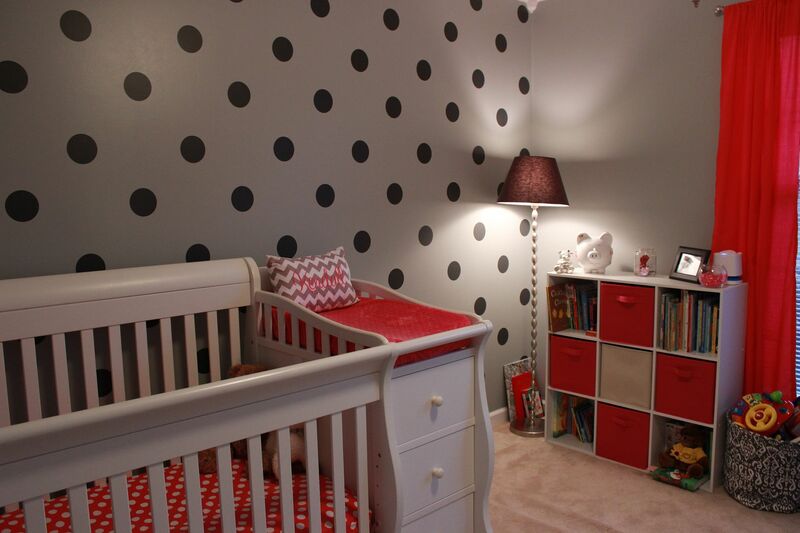 Polka Dot decals: c/o Urban Walls. Initial letters: made by me. What a precious, new room! I bet baby K loves it too. I LOVE the dots on the wall,so fun and unique. And of course I love all the pink ;)! Were you in Alexandria, VA? That's super close to me!!! The room is perfect!!! It looks straight out of a magazine! I didn't realize that you used to live in Alexandria. That's where I live now. Where are you at now?